military junta in resisting the arrest of its former director general. 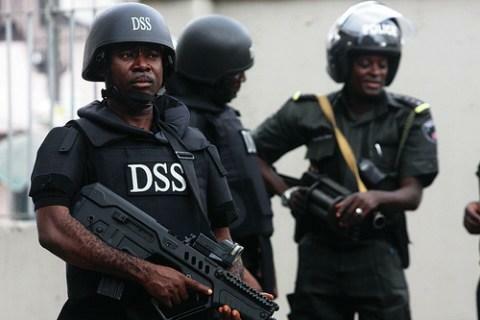 Operatives of the SSS on Tuesday blocked the arrest of the immediate past DG of the agency, Ita Ekpeyong, in an embarrassing confrontation with personnel of the Economic and Financial Crimes Commission. The EFCC says Mr. Ekpeyong is wanted for his alleged role in the arms scam involving a former National Security Adviser, Sambo Dasuki, and other former senior military officials. Many of the other accused persons have been arraigned in court. The former DG, who led the secret police between 2010 and 2015, reportedly turned down multiple invitations by EFCC investigators. An attempt by EFCC personnel this week to arrest him and search his home at 46 Mamman Nasir Street, Asokoro, Abuja, was resisted by SSS operatives, the latest in a string of clashes between the two law enforcement agencies. The EFCC was also blocked by security agents against arresting the former Director-General of the National Intelligence Agency, Ayodele Oke. The Senate is investigating the encounter, amid widespread criticisms from Nigerians. But we understands that beyond its well known history of acrimony with the EFCC, the SSS is relying on the provision of a proclamation approved by General Abubakar in 1999. The edict, titled Instrument No 1 of 1999, shields the SSS from external audit and investigation of its financial dealings, making them subject to only presidential review. The order was issued via military fiat by Mr. Abubakar on May 23, 1999, just six days before the nation transited to civilian rule. The instrument has not been nullified or replaced by a National Assembly-enacted Act, and the SSS still abides by its provisions till date. The instrument also excluded the security service from external auditing. “The account of the state security service shall not be subject to external audit, but the Director General shall, by the first week of March each year, render to the President, Commander-in-chief of the Armed Forces, returns of expenditure, and copy the National Security Adviser,” article 2 reads. The SSS believes that any questioning of its present and former leaders over financial matters is tantamount to external auditing of the agency’s finances. The agency does not have a spokesperson to comment for this story. Its Director General, Lawal Daura, did not answer or return multiple calls. However, sources in the agency told reporter Mr. Daura has told President Muhammadu Buhari that his agency would continue to shield Mr. Ekpeyong for as long as that proclamation was not repealed or amended. He is also said to have told close associates that he was ready to be sacked rather than allow the EFCC to arrest Mr. Ekpeyong. The spokesperson for the EFCC, Wilson Uwujaren, did not answer or return multiple calls made to him on Sunday.